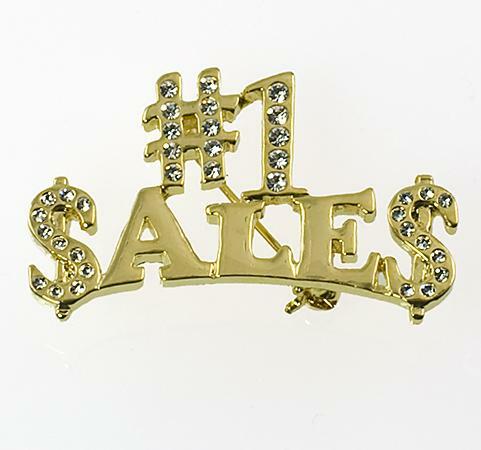 Promote yourself or your sales organization with great #1 Sales Pin. Gold finish accented with clear Austrian crystals. Approximately 1.25 inches at the widest point. 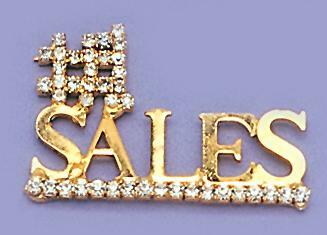 Availble in SILVER only Gold sold out.